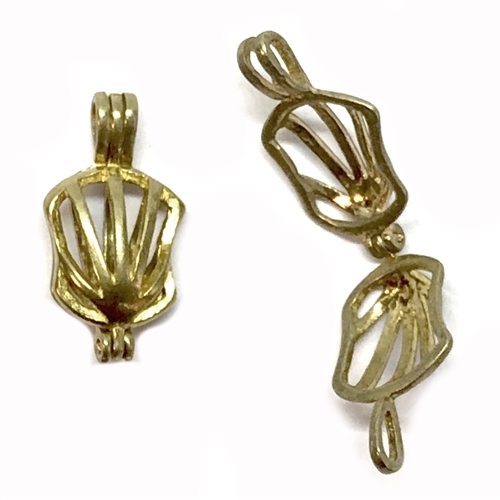 Shell shaped cage locket, raw brass, unplated brass, brass, shell cage charm, cage locket, pendant, charm, locket, vintage style locket. Hinged design, easily used as a pendant or charm. Opens so you can put several beautiful pearls inside for example. Interesting shell design. Measures 20 x 11mm, 6mm wide. Quite lovely. Sold by the piece.